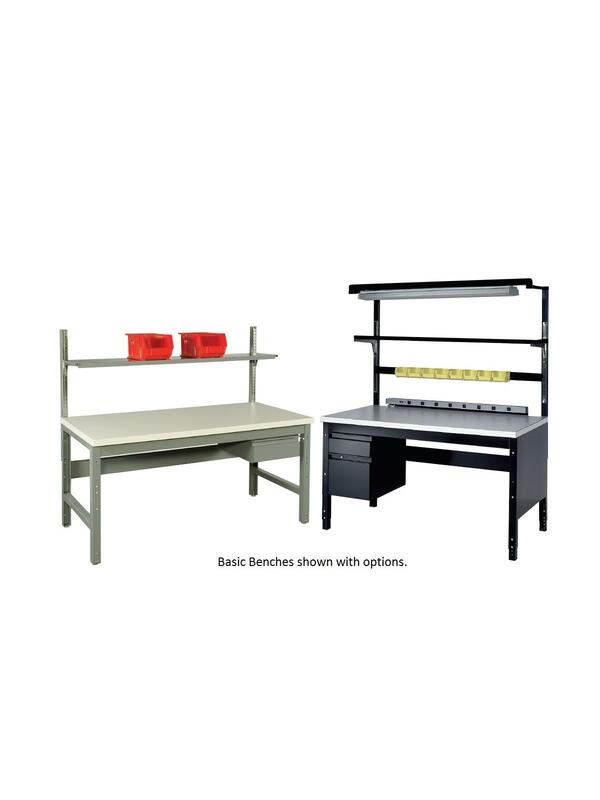 The best value in ergonomic assembly benches. Non-glare white top with high density plastic laminate and backing sheet. 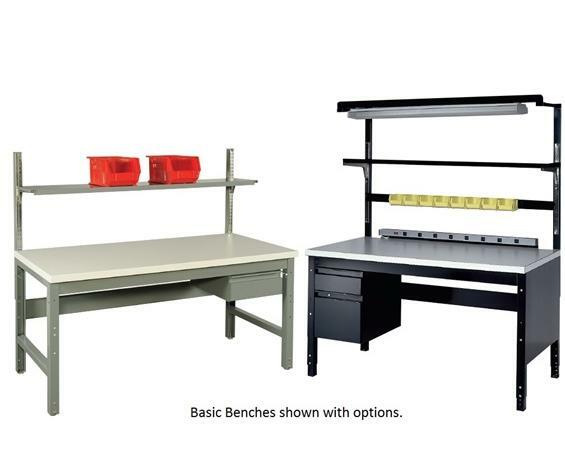 Designed and engineered for delicate electronic work, and built for long wearing use. Heavy duty all welded 14 ga. legs --­ adjustable from 31" to 35"H. --­ complete with leveling glides. 14 ga. apron front and rear eliminates top deflection. Top quality construction throughout. 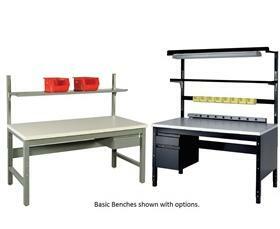 Assembles easily and quickly. Options available. FOB Shipping Point.